Plan a family weekend trip to San Francisco and explore interactive science exhibits, make your own art or record a music album. Take the kids catamaran sailing to enjoy incredible views of the San Francisco skyline, visit an aquarium, stop at the zoo, and have the best ice cream in town. Our list of best things to do with kids in the Bay Area includes ideas for both younger and older children. Most offer indoor and outdoor areas where you can interact with animals, play hide-and-seek, crawl through tunnels, and admire scenic city views. The Exploratorium at Pier 15 is a 330,000-square-foot interactive science museum with 600 indoor and outdoor exhibits, a public plaza, bayside restaurant and amazing views of the San Francisco waterfront. You can spend your day learning about physics, human behavior, tides, marine animals, art, the environment and other topics. Children will be able to use their five senses to interact with engaging exhibits. The South Gallery lets you “think with your hands” by constructing a Marble Machine from reusable materials, or turn knobs which animate characters on Tinkerer’s Clock. 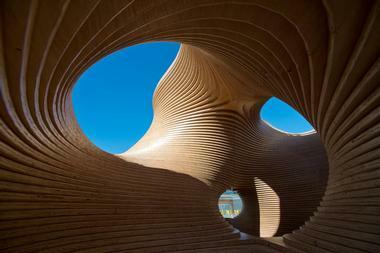 The West Gallery encourages children to experiment with feelings, social behavior and thoughts. The East Gallery is home to living systems where you can observe plankton, stem cells and fruit flies using research-grade microscopes. Aquarium of the Bay is home to beautiful exhibits featuring thousands of aquatic animals, including Moray Eels, anchovies and newborn Skates. Under the Bay exhibit was designed to give you a scuba diver’s perspective of the San Francisco Bay, complete with Moon Jellies and Sea Stars. You can watch sharks and rays swim in the crystal clear tunnel exhibit above your head. 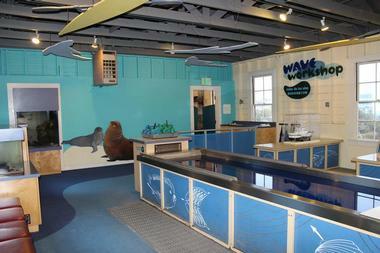 Kids love Touch the Bay, an interactive area which houses Leopard Sharks, Big Skates and Juvenile Bat Rays. If you arrive before the 12:30 lunch feeding, you can often touch the tips of playful Bat Rays. Children’s Creativity Museum is a multimedia arts and technology museum where children learn in an interactive environment. The Animation Studio lets kids create their own characters from clay and animate them on screen, guided by professional educators. Design Studio teaches how to use Adobe Photoshop to create a poster, album cover or an advertisement. The Mystery Box Challenge in the Innovation Lab invites children to invent something using just the materials provided in the box. The Music Studio lets visitors play dress-up, perform in front of a green screen and record the performance on DVD. If you want to paint, draw and create unique art with a diverse selection of materials, head to the Spiral Gallery. 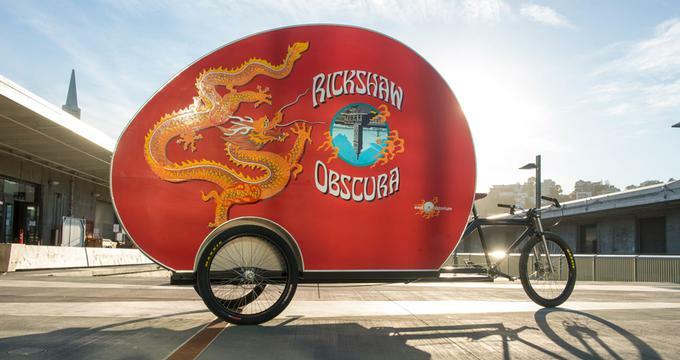 More ideas: 18 Best Things to Do in Oakland. Set on 7.5 scenic acres with views of the Golden Gate Bridge, the Bay Area Discovery Museum offers hands-on activities designed to awaken creative thinking in children. 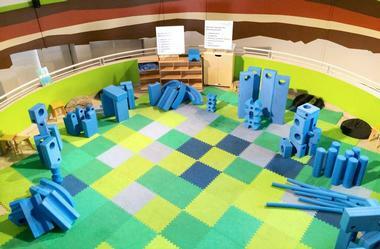 Imagination Playground, designed by architect David Rockwell, lets kids engage in unstructured free play using giant foam blocks, slides and fabric. 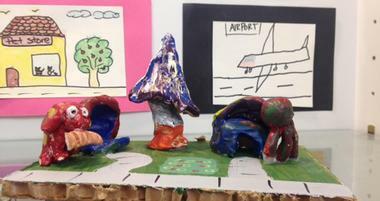 Art Studios 5 and 10 encourage visitors to express themselves through art while learning about collaboration. Bay Hall simulates the busy Ports of San Francisco and Oakland. There is an underwater tunnel, a lift to lower containers, and a vintage train set. The 2.5-acre outdoor space features an authentic fishing boat, a scenic trail, the Sea Cave and many other exciting activities. Overnight trips with kids: 50 Best Family Vacations in California. For lunch, head to the Ice Cream Bar and eat delicious sandwiches, organic greens, soup and ice cream. Everything at the Ice Cream Bar is made in house using locally sourced organic ingredients. 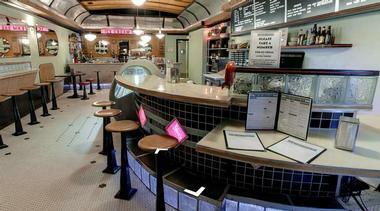 Kids will love the waffle cones, cookies, brioche, breads and handmade ice cream. If you fell in love with Del Popolo’s delicious wood-fired Neapolitan pizzas when they were selling them from their glass-faced truck, you will love them even more now that you can sit and enjoy them in their cozy, modern pizzeria on Nob Hill. You can choose to sit at one of the large communal tables, at the small bistro tables with banquettes along the wall, or, if you are lucky, at the counter overlooking the giant fire-burning oven that is baking your pizza to perfection. Since they could not improve on perfection, they still do the pizza as they did in the truck, but added small antipasti as appetizers and a respectable list of wines and craft beers. The place is always packed, but the wait is worth it. 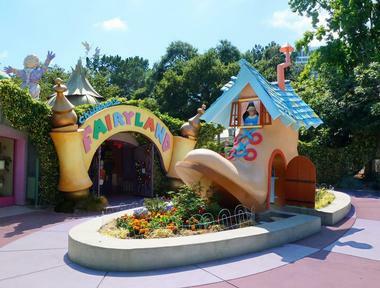 Children’s Fairyland in Oakland is the place where your child’s favorite fairy tales come alive. Step into the Crooked House, play on the Jack and Jill Hill, see the live Olde English Baby Doll Sheep, visit the Alice in Wonderland Tunnel, climb on Willie the Whale, and ride the Jolly Trolly which dates back to 1954. Play in the beautifully landscaped gardens growing Mary’s silver bells and cockleshells as well as organic vegetables used to feed the animals. In addition to the sheep, there is a pony, alpaca, two goats, donkeys, ducks, rabbits, guinea pigs and chickens. Devil's Teeth Baking Company is a small neighborhood breakfast place and bakery, located in the Outer Sunset area of San Francisco, that the locals would have liked to keep to themselves. The word is out that they make the best breakfast sandwiches in the world and their Beignets, which they bake only on Sundays, are a good reason to abandon the idea of a lazy Sunday morning at home and head for your share of sweet, powdery deliciousness. The sandwiches are not complicated, just eggs and cheese in a biscuit - but what a biscuit! Freshly made every morning, flakey and soft, and big enough to keep the whole mess together. Their Beignets are so popular that they published the recipe online and people still keep coming in for their share. 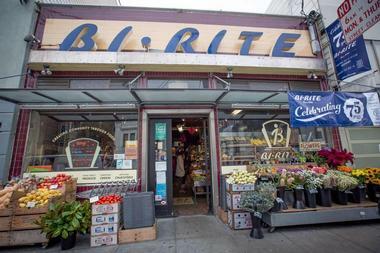 Don't look for a dining space, there is none, just a small cute park with a few benches in front of the store, or visitors can walk with their loot to Ocean Beach, which is only a few blocks away. 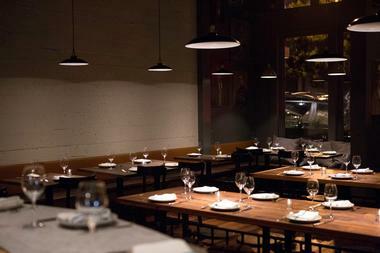 Aina is a rustic chic Hawaiian restaurant in the hip Dogpatch San Francisco neighborhood known for its inspired modern Hawaiian menu. Large communal tables and lot of recycled wood make the place feel social and friendly. 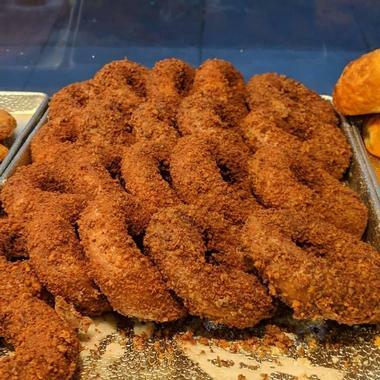 Aina is considered the best Hawaiian restaurant in the city and the island vibe comes with dishes such house-made “spam” musubi wrapped in lettuce-leaf, malasada doughnuts filled with guava custard and Binchotan-charred octopus served with kalo coconut cream. There is nothing more tropical than a Hawaiian sucker punch or fizzy coconut water. Aina serves dinners from Wednesday to Sunday. Brunches and lunches, also served from Wednesday through to Sunday, bring crowds so be prepared to wait in line. Mocha is an interactive museum which lets children play, paint, sculpt and interact with one another. Open Studio, open on Fridays and Saturdays, lets you create art using diverse materials and technical instruction offered by the teaching artist. If you are planning a weekend trip close to a major holiday, you’ll be able to join an ARTventure, offered on Saturdays. More family destinations: Washington, DC, Portland OR, Wisconsin, Minnesota and Chicago. What started as a taco stand in San Francisco’s farmers market quickly grew into five locations all over the area where long-term fans go for their dose of delicious tacos, and even with five locations, you will still have to wait in line. Their charming Mission District location is colorful and has enough space to allow you to slowly enjoy your tacos, filled with home-made chorizos or braised chicken. You can sit at the large bar or one of the tall tables or on the nice patio, everyone’s favorite place. All tacos, enchiladas, tostadas, and sopas are made with fresh, local, and seasonal ingredients. 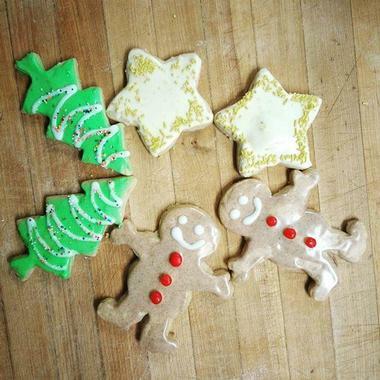 They are inventive and mouth-watering and you will not have enough of them. Wash it all down with a cool beer or one of 100 specialty tequilas. For artists, having a well-stocked store with all the supplies they need is a key to being able to create. 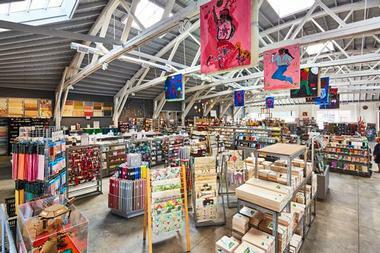 Flax has been at the heart of the Bay Area arts community since 1938. A family business, it is now operated by the 3rd generation of the Flax family. Flax offers an incredible range of art supplies to encourage and inspire anyone’s creativity. There are two locations - one in Oakland and one in San Francisco. The stores are known for their experienced staff who are always ready to offer expert advice and help customers find everything they need, from paint supplies and high quality art paper to all kinds of drawing supplies and art studio tools. Flax also offers framing options, art and craft supplies for kids, and interesting gifts for artistically inclined friends. The California Academy of Sciences is an incredible museum with exhibits for children of all ages. Early Explorers Cove, designed for kids ages 0-5 features a miniature garden, toys, live animals and dress-up costumes. Discovery Tidepool lets children touch sea animals. Earthquake Shake House is meant for children 3 and up while Planetarium shows are suitable for children ages 7 and up. Take your children to the San Francisco Zoo where they can see unique animals, ride a miniature steam train, play on the playground, and explore beautiful year-round gardens. There are many exciting exhibits that let kids learn about animals and ecosystems from around the world, such as Australian kangaroos, bears and monkeys. The zoo is home to the largest outdoor lemur habitat in the country, Penguin Island, Lion House, Eagle Island, Insect Zoo, Gorilla Preserve and the Sea Lion Pool. Head to Greenie’s Conservation Corner where children can learn about energy conservation, and other sustainable practices. Pier 39 is one of the most popular tourist stops in San Francisco, home to amazing attractions such as Aquarium of the Bay, Magowan’s Infinite Mirror Maze, San Francisco Carousel, Sea Lion Center, street performers, restaurants and cafes. Adventure Cat Sailing Charters operates two family-friendly catamarans which take you on an exciting adventure with views of the San Francisco skyline, the Golden Gate Bridge and Alcatraz Island.